As I am typing this, I only have one more final for my fall semester of 3L year. Looking back, I truly had some remarkable professors this semester and learned a great deal. To my great professors, I say thank you. I look forward to my next professors. Business Associations I seems like it would be a dry and boring class. How can learning about corporations and agents be exciting? With a different professor, that might be true. However, Professor Hecker brought humor to our learning. He kept us engaged and made the subject enjoyable. I enjoyed the jokes and stories Professor Hecker brought to class. Drafting a contract is tedious and requires a lot of patience. Every word can make or break a contract for your client. Professor Sears made sure we knew that and understood the effect our words would have on our clients. He provided stories from his years of litigating. In the end, I learned to patiently analyze a contract and choose my words wisely. Anyone who tells you the Internal Revenue Code is not painful is likely lying. It has its own language and challenges. This semester, I dove into the IRC with Professor Hickert. It was painful, but he was a great teacher who broke down the estate planning provisions that are important for clients in real life and taught us how to protect our clients’ assets. He brought in his real-life practical estate planning experience, which made it much less painful and incredibly helpful for my future clients. On the first day of class, Professor Stacy told us we would leave class as even better lawyers because we would know how to solve conflicts of law for our clients. He challenged us to think of creative arguments for our clients and use the flexibility of choice of law analysis to our benefit. We had to think on our feet and defend our answers. I’m so grateful for my ex-professors. I truly can’t wait for this next semester see what my next professors will teach me. Thank u, next. 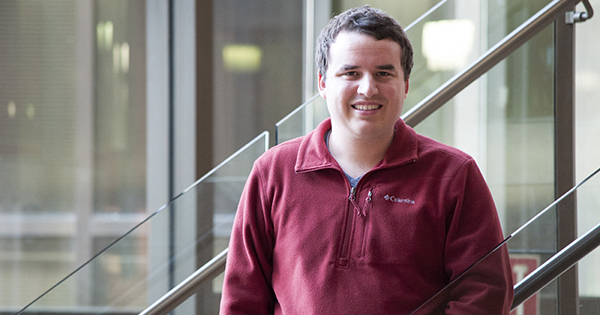 — Jake Turner is a 3L from Mission and a KU Law Student Ambassador.